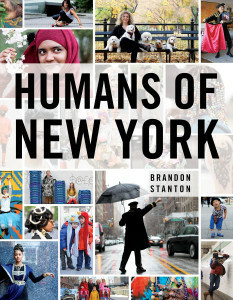 Humans of New York is a project by Brandon Stanton to capture New Yorkers and tell their stories, apparently this book is the result of 3 years of work for that project. In the beginning of the book, Brandon briefly tells his story. When he was fired from his job as a bond trader, he decided to try being a photographer. “I had enjoyed my time as a trader, but the end goal was always money. Two years of my life were spent obsessing over money, in the end I had nothing to show for it. 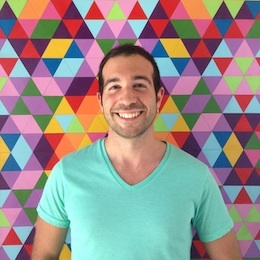 I wanted to spend the next phase of my life doing work that I valued as much as the reward.” So he starts visiting different cities, taking photos and sharing them on Facebook. When he finds out that his most compelling pictures were of people, he pivots like a startup and focuses only on those. He starts stopping strangers on the street and taking photos of them. When he arrives to New York, he says “The buildings were impressive, but what struck me most were the people”. It was interesting to learn that his photos initially didn’t include captions or stories, since that seems to be the most compelling part of the book. He’s able to capture something deep about each person with his captions. It’s a fun book that shows the diversity of people living in New York. There’s too much content on the website to digest all at once, so buying the book is an easy way to surface and enjoy the best content.